Sherry kindly gave us some images to use on our projects but I missed the e-mail about this so didn't get a new image. Boo some might say but not I as the image I used I really like. 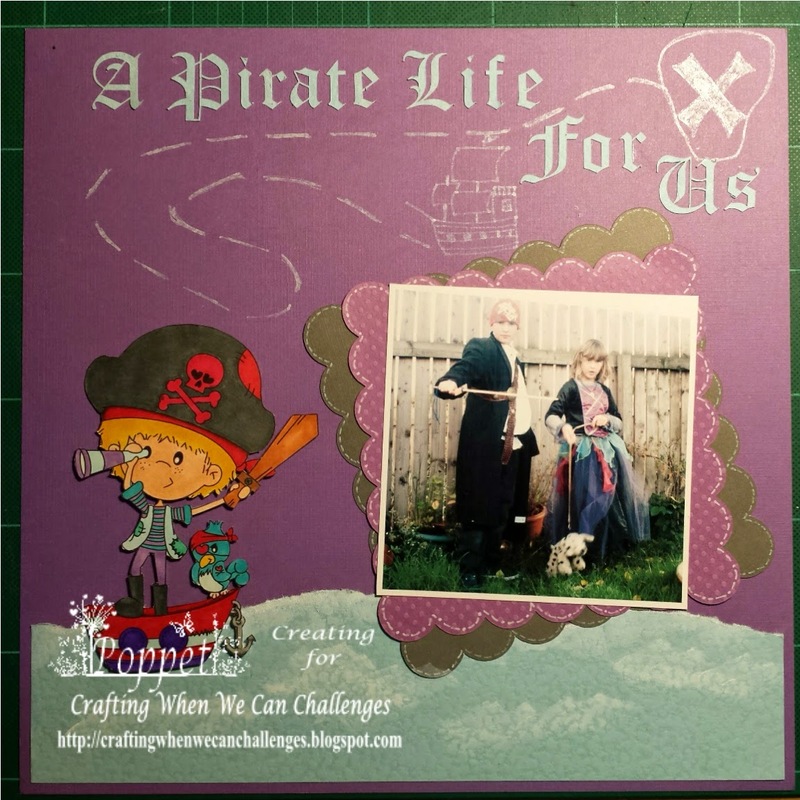 It is Pirate Adventure and for my project I actually made a paper scrapbook page. WHAT! I hear you say no CraftArtist, well not quite I did use the software to size and printout my image but other than that I only used it to edit my image for the blog. I know, I was having palpatations at not using some sort of technology to do my crafting so out came the Craftrobo. I used this to cut my mats and title but I fussy cut the image and tore the blue paper for my water. I also got my fingers inky by using a white ink pad to make the waves. (My friend (only have 1 crafty friend) will be laughing when she reads this as she knows I hate to get messy.) I used a white pen to edge the mats and doodles a little ship and its path the find the treasure on the skull shaped island. The image was coloured using my Spectrum Noirs. The picture is of my son and daughter dressed as pirate and princess pirate for a Halloween party at a garden centre. My son is dressed in my favourite long coat and my belt, his Dad's shirt and his own trousers and my daughter is dressed in a favourite witch's dress that she thought looked princess piraty. On the lead is her favourite cuddly toy Sarah. She's had Sarah since she was 2 1/2 and she still takes her on holiday, my daughter is 15 1/2 now. 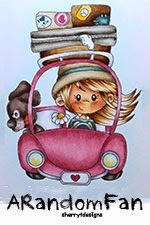 Anyhoo, it's time to hop over to the Challenge blog and show us your Oodles of doodles project. As long as you follow the theme and rules you will be in with a chance of winning the Sponsors awesome prize. Your project is lovely Poppet! I always enjoy seeing what you're creating!!! Love the pic..it's so cute! Such a cute card and image, thanks for sharing it with us over at The Squirrel and The Fox.